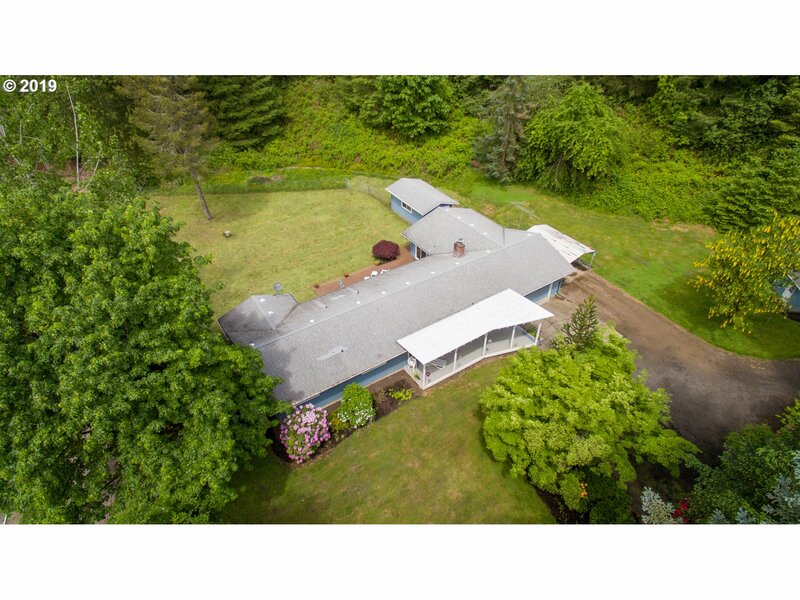 Pristine, close-in, country home on 2 acres with private greenbelt! Kit/eating area, nook, peninsula, pantry, all appliances stay! Vaulted FR, C-fan, slider, deck. Spacious LR+DR. Covered porch. Master & BR#2 on main, BR#3 & #4 UP. 3 bathrooms. Utility W/sink/cabs/ shelves/closet. 2-Car Gar wk-bench/shelves/GDO. RV pkg. XL flat driveway. Heat pump, fresh paint & carpet. Off-street private location. Move-in ready!